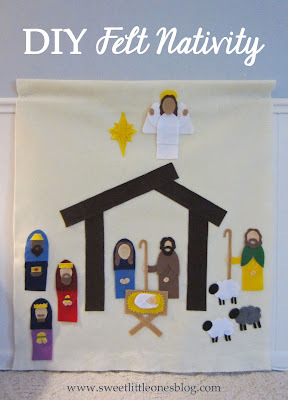 Advent starts on this Sunday! 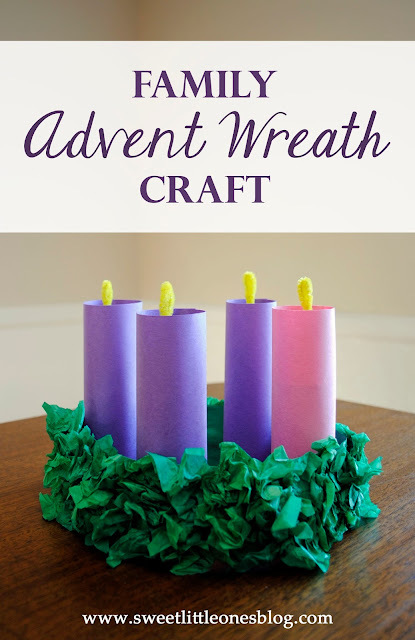 I believe getting your kids involved in the details, like making your Advent Wreath together, will help them to remember, learn, and get excited about growing closer to God as a family. So here is a fun Advent Wreath craft I created that you can all make and use together (since it has retractable flames!). 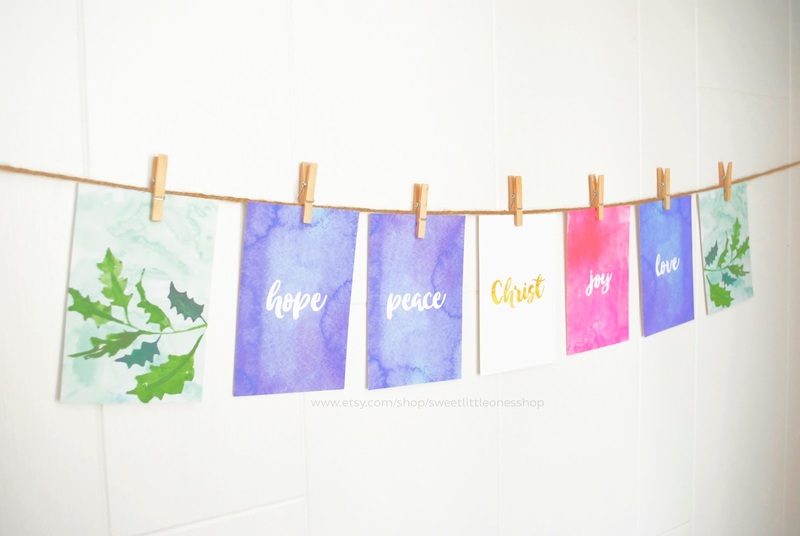 Then, below I have listed a great resource of daily devotions and prayers to go along with your Advent Wreath! 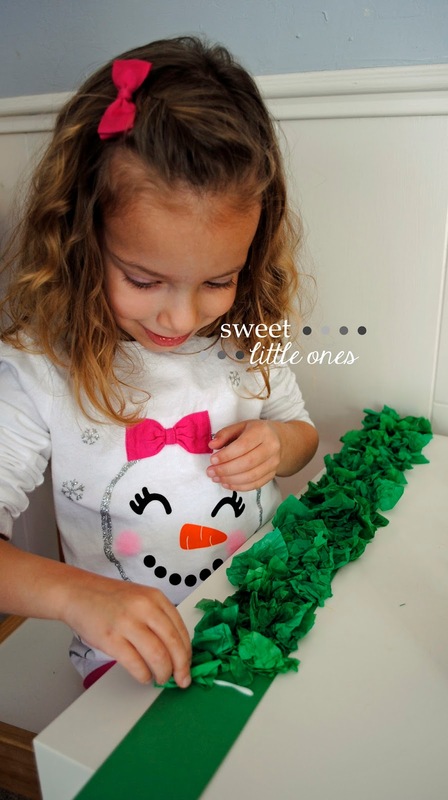 Green tissue paper (2 sheets) - they do not have to be the same shade of green! 1. 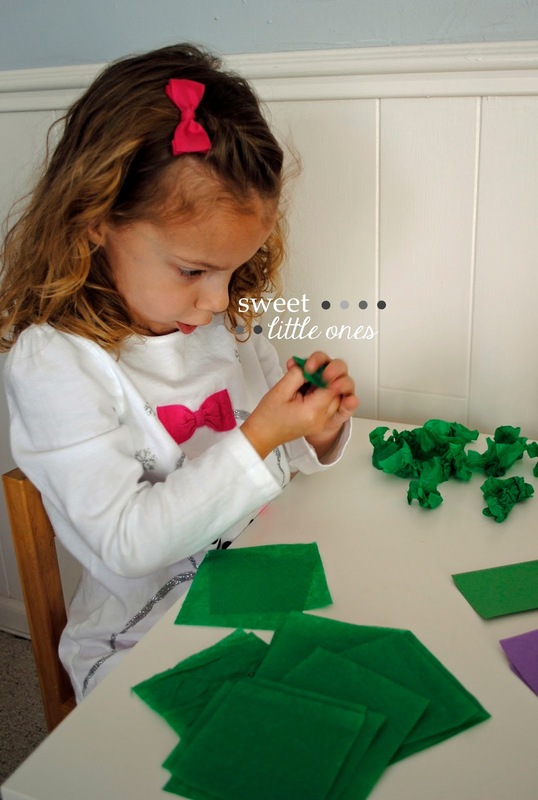 Fold the green construction paper in half lengthwise. Cut in a straight line along the fold. You will only need 1 of these pieces. 2. Take that piece of green construction paper and fold in half lengthwise again. Cut in a straight line along the fold. You should now have two long, thin pieces of green construction paper. 3. Take both pieces of paper and glue or staple the ends together so you have one very long, skinny piece of green construction paper. This is the base of the wreath. Set aside to dry. 5. Gently crinkle all of the tissue paper squares. It worked best for us by pinching the middle and then crinkling the edges (so it kind of looked like a flower). But you really can't go wrong! 6. Lay out the long green construction paper. Starting about one half inch from one end, vertically draw a line of glue, and set 3 of the crinkled tissue paper squares on it. Continue doing this all the way down the green construction paper, keeping the crinkled paper squares tight together, until you get to about one half inch from the other end. Save 3 crinkled tissue paper squares. 7. Staple or glue together the ends of the construction paper to form a circle. Once dry, draw a line of glue over the seam and use your 3 saved pieces of crinkled construction paper to cover it. Let the wreath dry. 1. Fold each pipe cleaner in half and twist the folded end. 2. Place a piece of masking tape over the opening of each toilet paper roll. 3. Using the wire end of the piper cleaners, poke two holes fairly close together in the center of the masking tape on the toilet paper rolls. Stick one end of each pipe cleaner in each hole. Gently move the pipe cleaner up and down in the tape til it moves fairly easily. (It should look like the picture below - except I twisted my pipe cleaner later!) Set aside. 4. Fold the pink and purple construction paper sheets in half. Cut in a straight line along the folds. (See the piece of pink construction paper in the picture above for the approximate size.) You will only need 1 of the pink rectangles and 3 of the purple ones. 5. 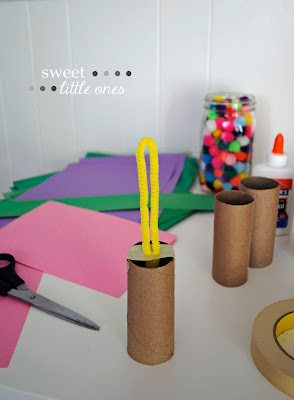 Wrap one piece around the toilet paper roll so the bottom of the construction paper and the bottom of the toilet paper roll line up (the twisted pipe cleaner end is the top). The construction paper will be significantly taller than the toilet paper roll. This is what you want - then you will not be able to see the cardboard! 6. However, there was quite a bit of excess of construction paper vertically so I trimmed mine. (Feel free to leave the excess if you want.) 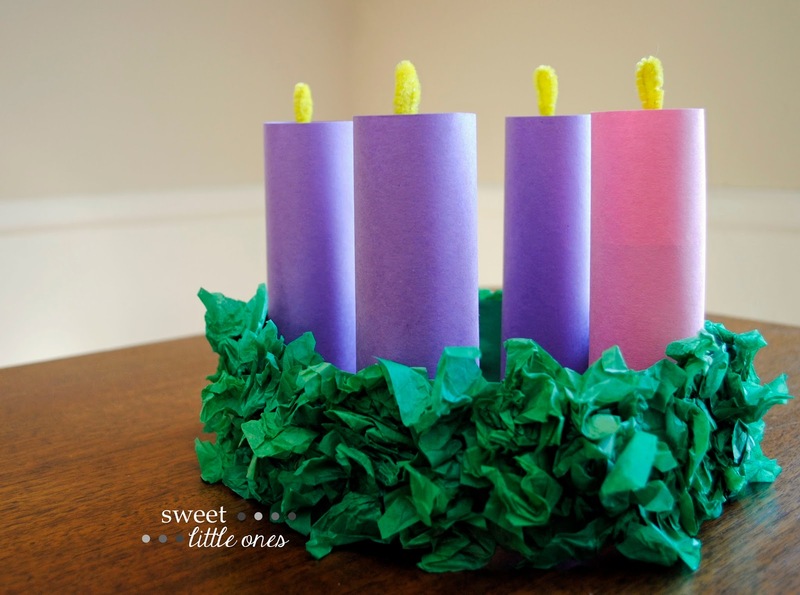 Then, draw a line of glue along the long, trimmed edge of the construction paper and glue the ends together forming a cylindrical candle around the toilet paper roll. (You do not have to actually glue it to the toilet paper roll.) Hold until dry. Repeat for each candle. 7. 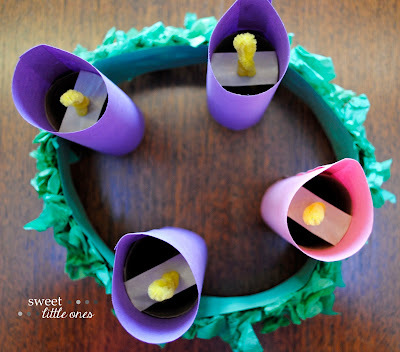 Push each yellow pipe cleaner down into the candle so that it can't be seen (but you can still easily reach it!). Now, you're ready! Place the candles freely and evenly along the inside edge of the wreath in a place of prominence in your house, like your dining room table. Every week, you light one candle by pulling up the yellow pipe cleaner. 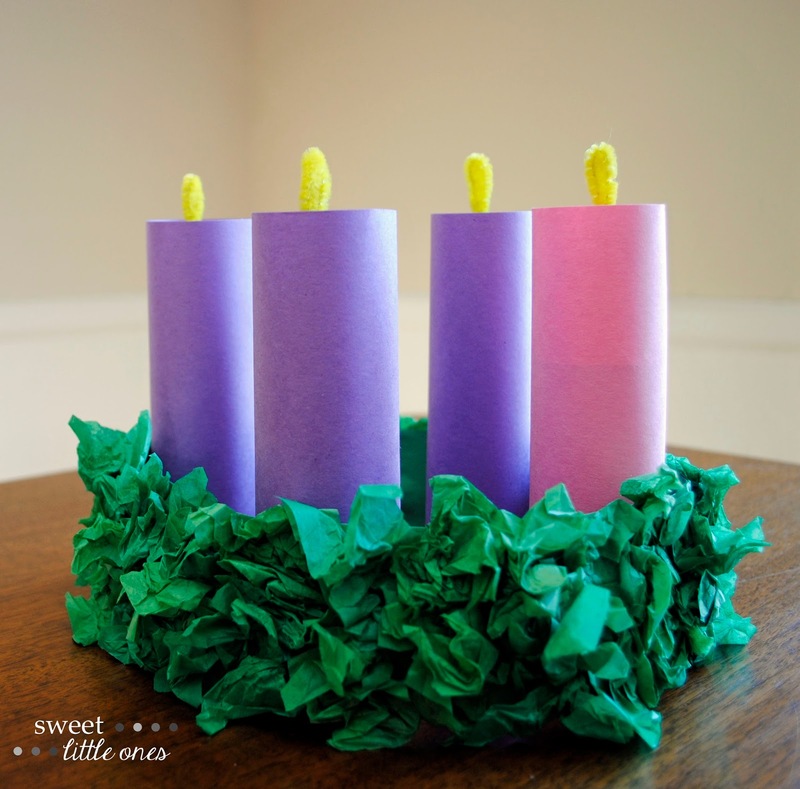 The candles are lit in this order: purple, purple, pink, purple (on Nov. 29th, Dec. 6th, 13th, and 20th). We are very excited to celebrate this Advent by growing closer to Jesus through prayer, fasting, and good works together as a family! celebrate and prepare for Advent as a family!